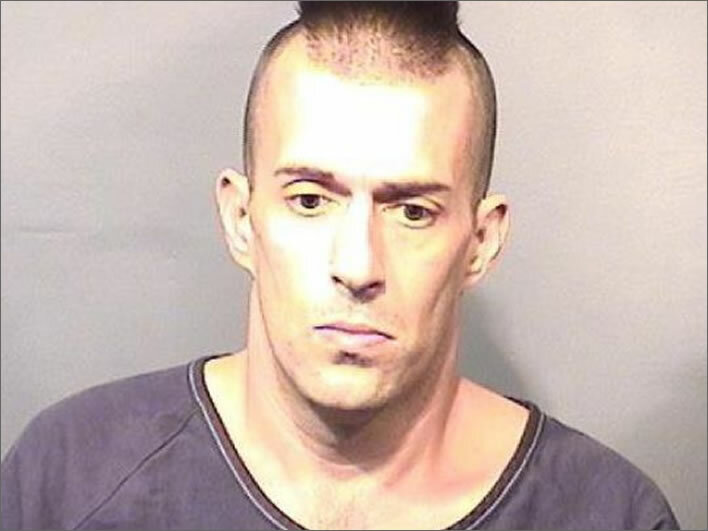 Michael Wolfe of Titusville, Florida, waster of bacon – the swine! Image: Brevard County Sheriff's Office. Seems a bit tough, even by American standards. It was a bit of a puzzle that the hefty sentence was the result of a plea deal: what on earth was the proposed sentence that made this plea deal attractive to the defendant? Hanging, drawing and quartering? In solving this problem, we have to give Breitbart credit for supplying the link to the source of the story in Florida Today, but that is all they get credit for. According to Brevard County records, Wolfe has had multiple run-ins with the law dating back to 1998, including convictions in burglary of an unoccupied dwelling and grand theft in 2004 — for which he was sentenced to two years, seven months and two days in prison — and burglary of a conveyance in 2011, for which he was sentenced to 64 days in the county jail. Wolfe was also fined and sentenced to probation after a 2001 burglary and grand theft arrest when he was just 20 years old, records show. Right. Now it all makes sense. Fifteen years in prison for this recidivist hoodlum sounds about right to me. Our measured response to this is not outrage that this thug got locked up, but disappointment that Breitbart used highly selective reporting like this to confect a story. If they want to take the moral high ground and call out the US mainstream media for its twisted reporting of Trump then that's fine – but they need to keep their own hands clean.